A mobile tote tray lab cabinet is a flexible and convenient solution to your lab storage needs. 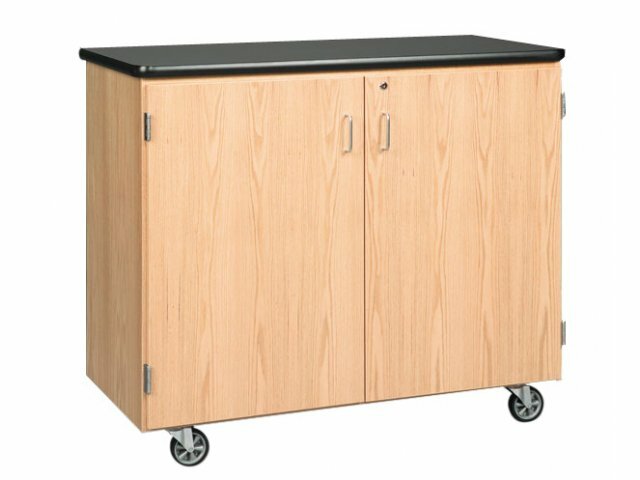 If your classroom or lab uses a large variety of materials that must be kept secure and organized, a mobile tote tray lab cabinet gives you great advantages. Besides being ideal storage for up to twenty-one different materials that can be kept in separate pull-out tote trays, you can use the lab cabinet as a mobile lab table. The strong, high pressure laminate top gives you more lab space to work with. 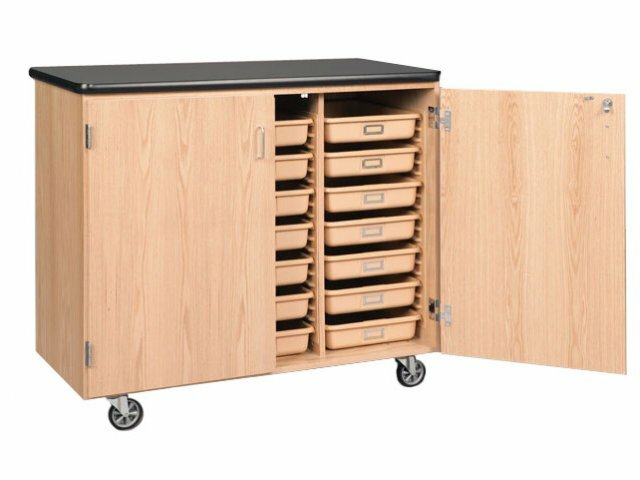 The exterior of this mobile tote tray lab cabinet is constructed of solid hardwood, solid oak and oak veneers with a clear chemical-resistant UV finish. 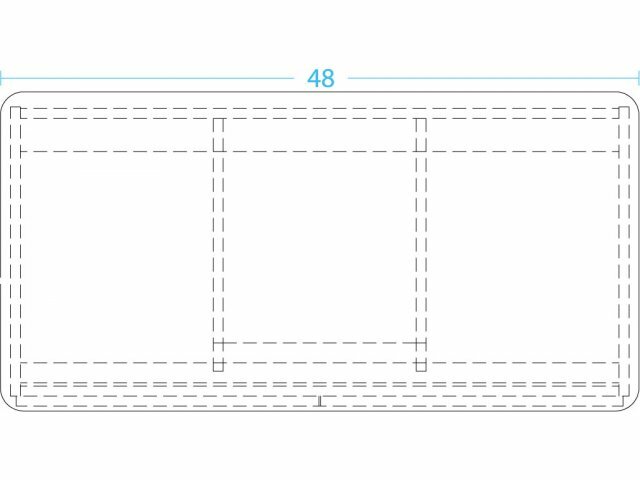 Each tote tray lab cabinet comes with hinged oak doors. 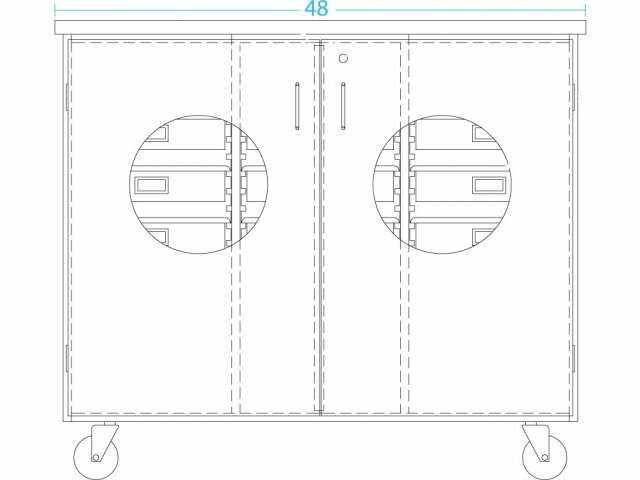 These tote tray lab cabinets are perfect for students to store their art and science projects. They keep all materials safe and secure behind keyed lockable doors. 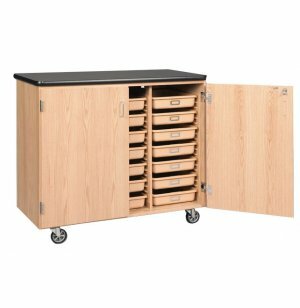 Keep materials from being lost or misplaced and help keep your classroom or lab organized and efficient with a tote tray storage cabinet. From 1975, Diversified Woodcrafts has been developing an entire line of high quality, chemical-resistant science furniture. Their innovative products can be found in schools, laboratories and museums across the United States. Hardwood is wood from an angiospermous tree (a tree that has broad leaves) such as Oak, Maple or Ash, as opposed to a coniferous tree (evergreen trees that have needle-shaped or scale-like leaves) which is softer. Veneer-core plywood is made from alternating layers of veneer inner plies, resulting in a material that is strong, stable and relatively lightweight. Comes with 21 tote trays. Lockable doors that swing 270 degrees. Strong laminate top provides extra work space. UV finish– more chemical resistant; extremely tough and smooth. Easy to move on 4" heavy–duty ball–bearing casters. 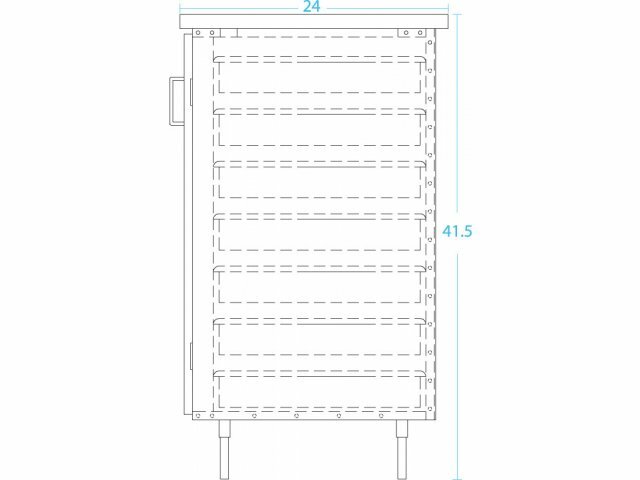 This product has been certified by an independent tested laboratory to conform to SEFA 8 standards. SEFA 8 Standards were developed by The Scientific Equipment and Furniture Association (SEFA).